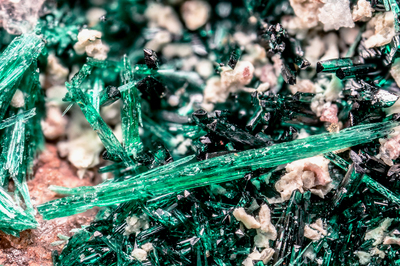 Elongated crystals, light green, of malachite on dark green crystals of atacamite . Collection and photo of Gianfranco Ciccolini. Nikon D610, bellows, Schneider Kreuznach 28mm; f:4. Focal using 5.6.